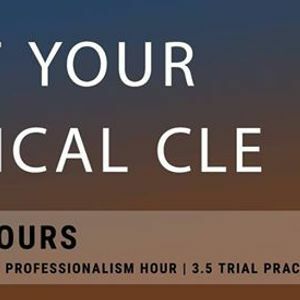 The 2019 "Not Your Typical CLE: What We've Got Here Is Failure To Communicate" seminar is NEW and IMPROVED! Attendees will see an introductory vignette of the events that lead up to a legal malpractice lawsuit. 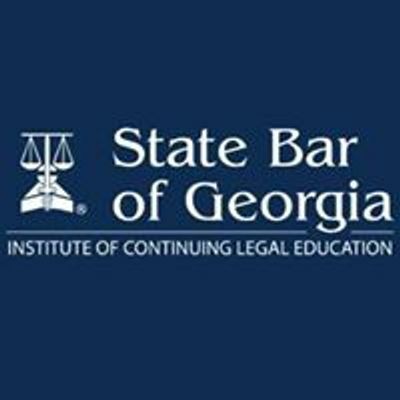 They will then see excerpts of a legal malpractice trial, including opening statements, direct and cross-examinations of the Plaintiff and Defendant, direct examinations of the expert witnesses and closing arguments. Look forward to stipulated facts, exhibits and a verdict form displayed. During lunch we will have a jury consultant-speak, and after lunch the attendees will be divided into juries to “deliberate." 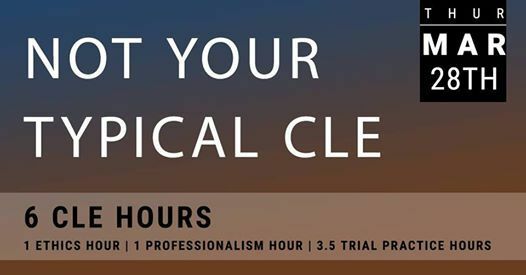 Attendees can expect to receive 6 CLE hours, including 1 Ethics hour, 1 Professionalism hour and 3.5 CLE hours.